In past years I've extolled on all things Graig Markel - a Seattle singer/songwriter, distortion pedal configurationist, and the former ringleader of sorely missed aggro punk-popsters New Sweet Breath. Heck, even as recently as a month ago I offered up his unheralded November/December ep, and earlier in '12 I spilled a few words about his most recent solo album. In between those entries I premiered the video for "One Down, One to Go," performed by yet another project of his I neglected to dedicate any coverage to thus far, The Animals at Night. I could (and perhaps to a certain extent will) take the lazy route, and slap the handy catch-all tag "electronica" on this magnificent nocturnal beast, but as would be their good fortune, the magic lies in the message, not so much the medium. Then again, that "medium" per se, is often intoxicating amidst these four grooves. In any given AaN piece Markel doesn't bludgeon us with the hyper-wonky keyboard blitzkriegs that so many of his contemporaries like to throw down in this day and age, but instead he maneuvers the dimmer switch between medium and soft, rationing out a comfortable allotment of beats and ambiance. The opener, "Bare Feet and Summer Teeth" is a case-in-point compromise of bump-n-grind playfulness and Markel's soulful persuasion, fleshed out with fiery guitar fills. "New Juice" opts for a lighter tact, approximating NPR radio's bumper music that some of us secretly relish. As for the aforementioned "One Down, One to Go," the trio employ a chill keyboard effect that pans in and out like digital sunshowers on a steamy afternoon. I'm linking the video for you below in case you missed it the first time around. 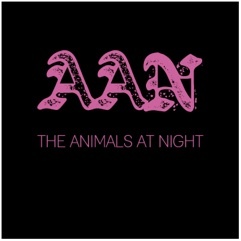 The Animals at Night ep is available physically via the store on Graig's website and digitally from iTunes, Emusic and Amazon.